Huawei has finally launched the much-hyped P20 Pro, which now holds the crown for the company’s new flagship. Huawei P20 Pro is the one of most hyped and exciting phones of 2018 and it surely lives up to the expectations be it the top notch looks or the stunning set of hardware. 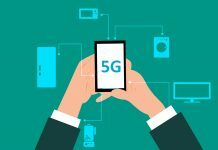 A lot of big names in the industry have already launched their flagships this year, but they were more or less just iterative upgrades to their last generation counterparts. 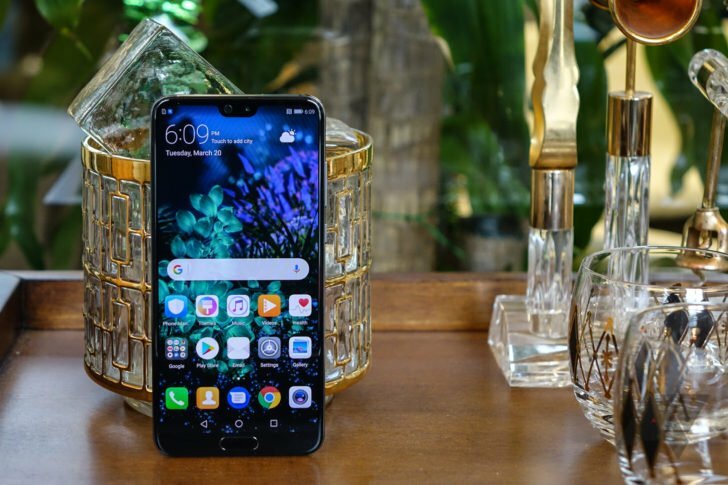 Huawei, welcoming the new P20 Pro and P20 to their smartphone family brings a fresh breeze to the smartphone market and tech lovers are surely going to enjoy the upgrades. Huawei introduces a new trend with their stunning looking flagship which is the introduction of three camera modules on the rear. Yes, you heard it right. Huawei P20 Pro sports a camera system with three cameras on the rear. Combined with the new AI capabilities of the new Kirin 970 Chip with a dedicated neural processing chip, Huawei takes mobile photography to the next level leaving the best in the industry far behind. Huawei P20 Pro scores the highest ever still photo score of 114 on DxoMark bringing the competition to its knees and it manages to do even better in the video department without being backed up with hardware OIS. Huawei P20 Pro and the P20 are beautifully designed with stunning dual tone paint job changing colour depending on how the light falls on the surface. Its something we have seen before on the HTC U11 but Huawei takes it to another level as it manages to use a non-conductive vacuum which generates the unique gradient finish on the P20 Pro. The front of the phone features the very trending notch which houses the front camera and a tiny little earpiece on the left. If you are one of those people who hate the concept of notches than Huawei has a neat little trick up their sleeves to get you over with it. Huawei gives an option to mask the top of the screen with a black patch which makes the phone look like it has a top bezel as the OLED panel on the P20 Pro is the one of the best that we have seen in the recent past. The perfect black colours are difficult to differentiate with the notch in the picture. The back is where things come to life for the Huawei P20 Pro which houses the three much-hyped cameras. The P20 Pro is sporting a 40 megapixel “Quad Bayer” main RGB sensor complemented by a 20 Megapixel 1/2.78 inch secondary monochrome sensor. Things are going good, right? Well, Huawei has something more to their camera system as it introduces a third sensor which is an 8MP telephoto offering a hardware-stabilized 3x zoom lens, which can produce 5x shots when used in conjunction with a software-based digital zoom. Coined as “Leica Triple Camera” the default setting is to produce a clearer, brighter and sharper 10megapixel image which combines four adjacent pixels into one. Huawei calls it the Light Fusion technology. We have seen this technology earlier in the Lumia 1020. The camera sure is one of its kind and combined with Huawei’s growth in AI photography the camera shatters out the competition. Huawei has been constantly working on improving its AI that supports mobile photography hence the results come out to be great. The AI is able to frame the settings depending upon the shot it believes you are going to take. Suppose you are trying to click a picture of a flower than the AI will automatically set the focus and other settings which best suite the scenario. Like the Galaxy S9 and other Sony phones, the Huawei P20 Pro also packs slow motion video capturing capabilities at 960 fps in 720p. 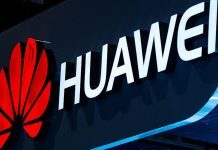 Huawei is doing a lot of work in the software department which combined with the stunning camera hardware produces images that are truly outstanding for smartphone cameras and it surely will give the mobile industry some hints. Huawei says that the P20 Pro can perform exceptionally better at night as it can produce images which are less noisy and blurry in dimly lit environments. It distinguishes between objects in a frame and then uses the data from sensors to remove the blurry edges from the image. Coming to the back design, the glass back as expected is a fingerprint magnet which might take some of your phone’s beauty away and you might need a piece of cloth around to keep your device free of those ugly looking fingerprints. Huawei’s design has always been stunning and this device is no slouch either. The phone blends in your hand, thanks to the curved edges all around the device and the compact form factor. Other specs of the P20 Pro include a 6.3 Inch OLED display, a Kirin 970 Processor supported by a 4,000 mah battery to power up the device and 6GB of RAM combined with 128 GB of storage standard. The latest version of EMUI built on top of Android 8.1 Oreo handles the software experience on the Huawei P20 Pro. The phone will go on sale starting from 6th April with a price tag of 899 Euros which translates to roughly 72,500 Indian Rupees and US 1195 dollars.